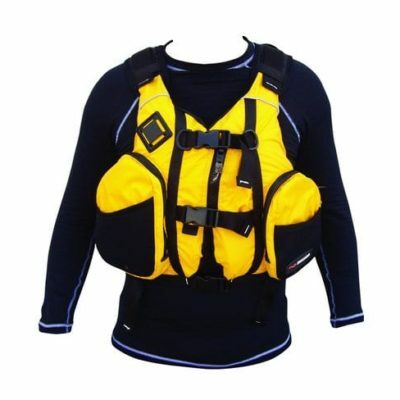 Lightweight and well-designed PFD for Multisport. Fitted with two large front pockets with elastic and a smaller pocket for a drink bottle in front. The front also features a set of elastic loops to hold the hydration tube in place during a race. 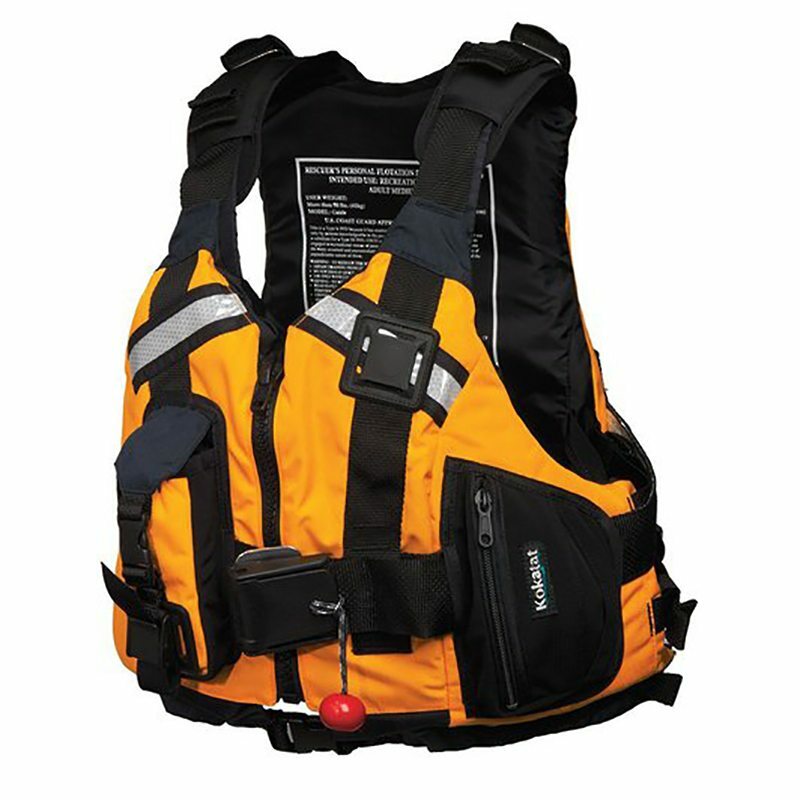 The back panel has a large pocket that can accommodate a hydration bag. 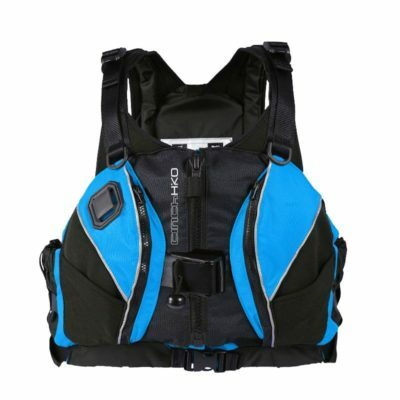 Adjustable shoulders and side straps ensure a great fit. 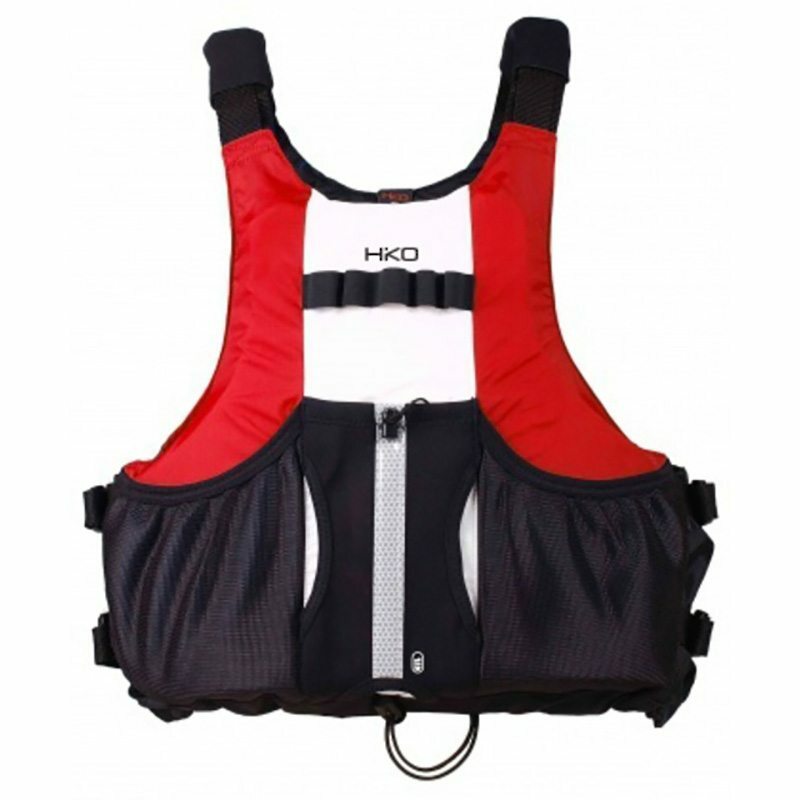 A perfect PFD for multisport racing and endurance paddling.